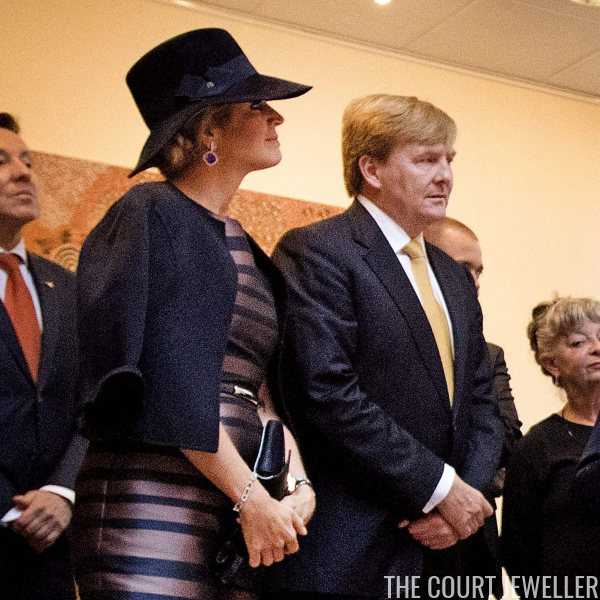 Queen Maxima has been out and about multiple times already, each time in glittering jewels. Let's have a look at what she wore, shall we? On Monday, Willem-Alexander and Maxima visited the Aboriginal Art Museum in Utrecht. 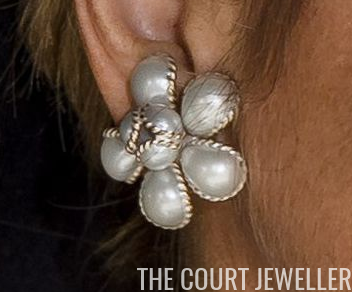 Maxima wore a familiar diamond bracelets -- which features her family's initials, plus various symbols -- with her gorgeous diamond and tanzanite earrings. Here's another look at her jewelry at the museum. The visit was designed as part of the royal couple's preparation for an upcoming visit to Australia and New Zealand. 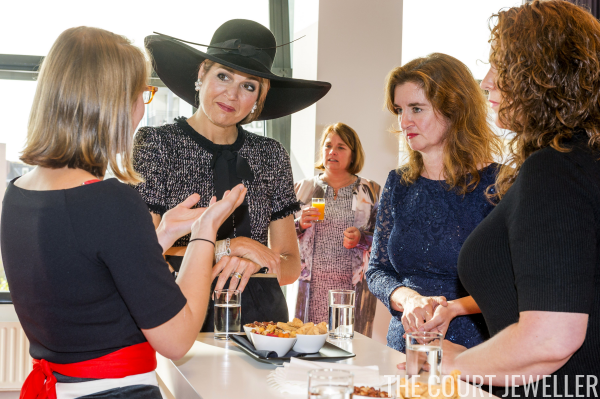 Maxima traveled to Rotterdam on Tuesday for a conference on nursing care for the elderly. ...which you can see in more detail here. For the bracelet-and-ring lovers among you, here's a look at Maxima's selections for the day. She wore a pearly bracelet on her right wrist, plus her family initial bracelet. You also get a good look here at her wedding and engagement rings. 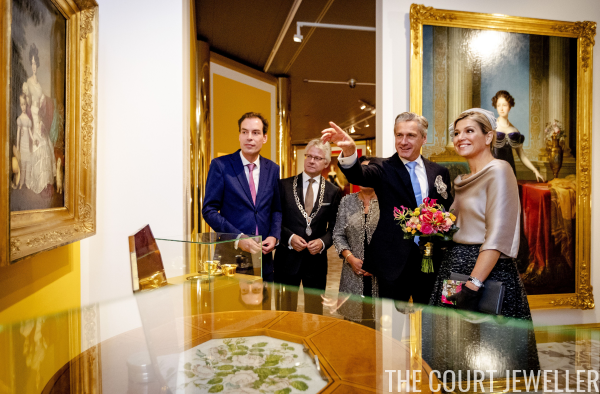 On Wednesday, Maxima headed to the museum at Het Loo Palace in Apeldoorn, where she attended the opening of an exhibit about Queen Anna Pavlovna. How's this for uncharacteristic? Maxima didn't wear earrings for this visit. You can just see a stack of gem-studded bracelets above her watch. She didn't totally leave the jewels at home, though. You get a glimpse in the tweeted images above of a giant cocktail ring on Maxima's right hand. Anna Pavlovna would definitely approve!